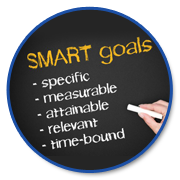 Goal setting is the process of deciding on something you want, planning how to get it, and then working towards the objective. Most of us start with strong motivation, but somewhere along the line, we tend to lose our momentum towards achieving pour set-goals. We face "Goal Paralysis". The reason most people don't reach their goals is that most people never reach their goals is that they don't define them, or ever seriously consider them as believable or achievable. Faith & Conviction in your Goal is mandatory! Planning and Execution are important for Goal Setting. However, there something else that is something more important for achieving a goal… Motivation. Stephen Covey has succinctly put it. "Motivation is fire from within. If someone else tries to light that fire under you, chances are that it will burn very briefly." Thus, Intrinsic Motivation is the best form of Motivation. What must one do when they are confronted by such demotivators? Your goal all over again. It is noted that Visualizing is far more powerful than writing. Human beings are the sum total of what they think about and focus on the most. 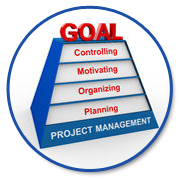 Keep the operational Goals small. Prioritize which goals are most important for you to focus on right now. Sometimes we may have too many goals to confuse us. Identify environments and activities that unlock energy and creativity. If your Goals seem very big, divide it into Short Term Goals and Long Term Goals. Remember, your Short Term Goals are the stepping stones to your Long Term Goals. "The Victory of Success is Half Won When One Gains The Habit Of Setting And Achieving Goals"